A new Hearthstone expansion, a new Steam Machine controller, and... a new BioShock? Gee willikers - is this Valve's new gamepad? A return to Rapture? AGAIN? It was getting easier to sleep at night. We suppose the group therapy sessions were partly to thank for that; the pills were no doubt playing their role too. But for the first time since we drew that very first hand, the urges were retreating. The sweating had stopped, the nervous twitching subsided, and the memory of selling our last pair of shoes for that one legendary was - though shameful - now distant. If only we had never installed Battle.net, we might not know what Hearthstone even is. And we'd be outside enjoying the sunshine right now... laughing. But just as we glimpsed that light at the end of the proverbial tunnel, like a bolt out of the blue, it happened. The first single-player adventure. Curse of Naxxramas. New legendaries. A new card back design. It was like someone was waving a giant bag of arcane dust in front of us on Christmas morning and saying "Shoot up, it's free!". And that, friends, is exactly what we did. We took the hit and it felt amazing. Sure, it's just added a load of spider bots to battle, but with 30 new cards to collect we're not complaining too much - especially as it comes at no extra cost. It's just the first "wing" of the expansion, mind; over the next five weeks, four more will be made available to the public, but those will come at a price. Now we're just working out how much we can get for our pants on eBay. 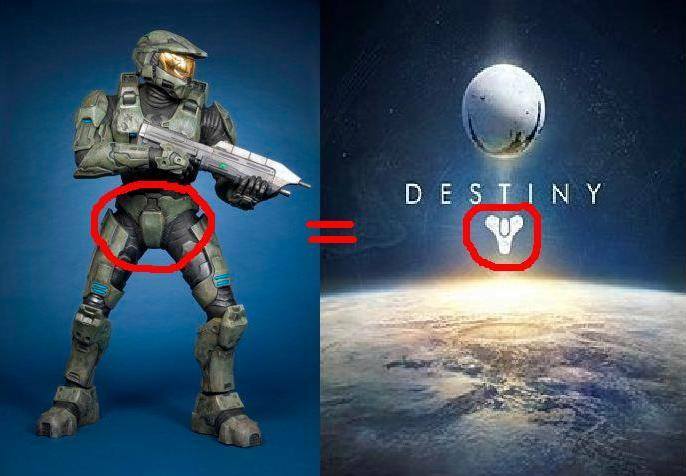 found its inspiration for the Destiny logo? Pushing back its Steam Machines to 2015 has afforded Valve a bit more time to tweak and prod at its controller, the only bit of hardware it'll actually be releasing itself. The last time we saw it, Valve had ditched the touchscreen and added a few new buttons. But this week one tech detective was rooting through some Steam client beta files and unearthed plans for looks like the next phase of design. The new blueprint shows the addition of a left analog stick in place of where the old arrow buttons used to be. It's a small shift towards a more traditional design, but most importantly, the haptic feedback pads are still very much present. Whacking on an analog stick may appease a lot of gamers, but we don't expect Valve will drop the touch pads - not only do they give the controller a unique identity, they're generally just awesome to use. Come and get it, mook! Well looky looky, what do we have here? 2K Games has sent out a rather cryptic tweet pointing to something very BioShock-related, but unlike so many other teases in this golden age of rumours, no one's sure of what this one means. 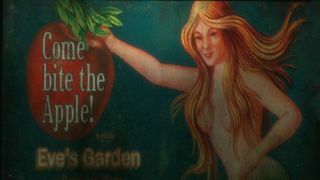 The tweet in question featured a promotional poster for Eve's Garden, a gentleman's club that featured in original game's setting of Rapture, with the slogan "come bite the apple" - a reference to Adam and Eve's story and the whole... well, it's easier if you just play the game to find out. "Oooo, what COULD this mean?!" was the accompanying caption. Good question 2K, we were sorting of hoping you'd tell us. We'd say it's highly, highly unlikely (read: nigh on impossible) that an entirely new BioShock game is about to be announced. But a HD remaster of the original game for PS4 and Xbox One isn't unlikely (2K and parent company Take Two are publishing a remastered GTA 5, remember). And despite Ken Levine's indications otherwise, we guess some sort of BioShock Vita title is a possibility. Even if it's just a port. In other news, Street Fighter's Ryu turned 50 this week - we look forward to his appearance in The Expendables 4. And we leave you with this (warning: contains some pretty NSFW language and a really catchy tune).